Size: 51 x 18 cm. 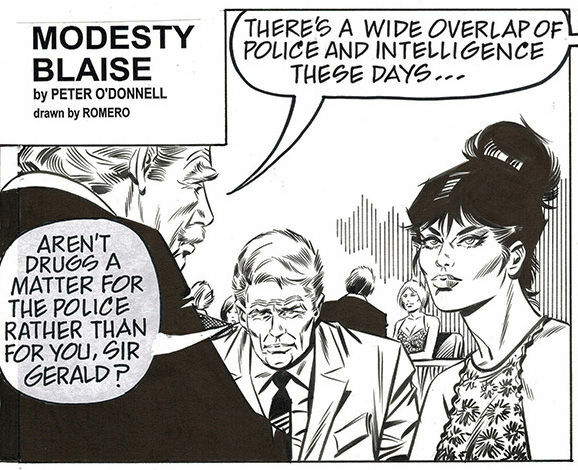 Original published comic strip number 10.092 of the multitalented spy Modesty Blaise, included in "The Zombie" story number 95. 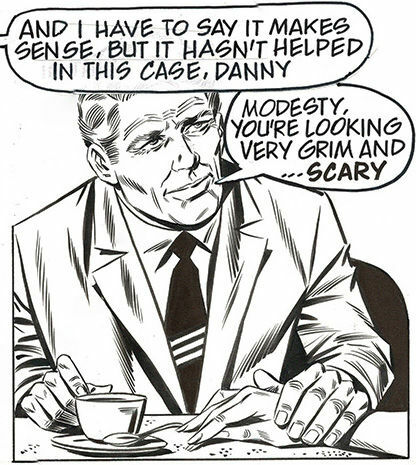 This original daily strip was written by Peter O'Donnell and hand drawn by Enric Badia Romero in November 2000. 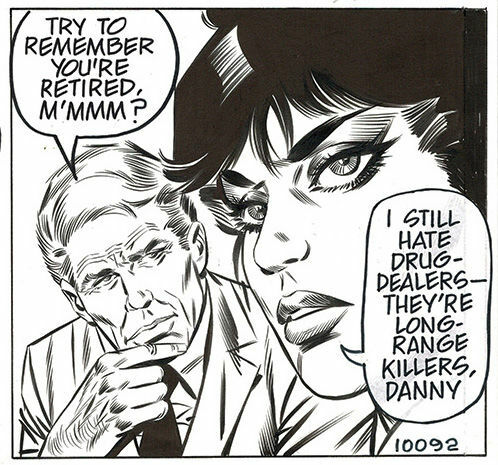 This original version is inked and hand signed by Romero. 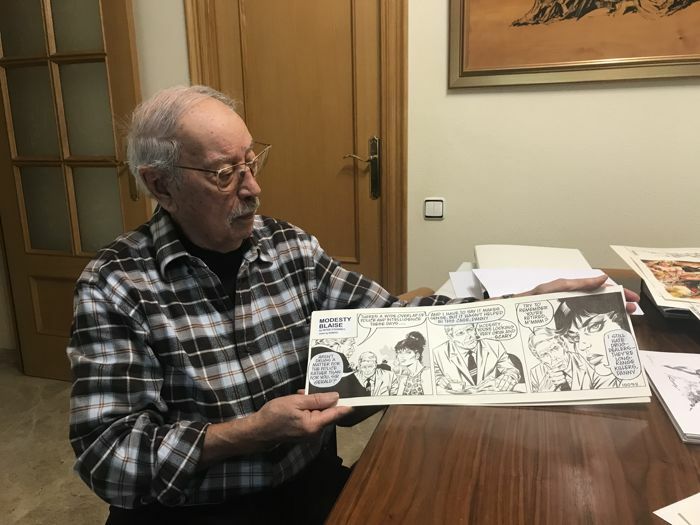 This unique original comic strip comes from Romero private collection. This original piece is hand signed by the artist and includes Certificate of Authenticity.